Alter The Press! 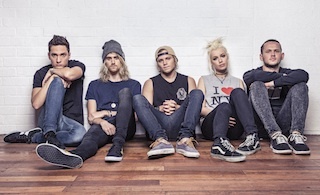 : Tonight Alive Release Two New Songs "Say Please" and "You Don't Owe Me Anything"
Tonight Alive Release Two New Songs "Say Please" and "You Don't Owe Me Anything"
ATP's favorite Australian pop/rock quintet, Tonight Alive have released another two tracks from their upcoming new album, The Other Side! You can find the two latest videos for "Say Please" and "You Don't Owe Me Anything," both including exclusive commentary from vocalist Jenna McDougall, below. The Other Side will officially be released on September 10th via Fearless Records. A variety of pre-order bundles can be found here.